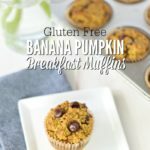 Simple gluten free pumpkin muffins are full of healthy ingredients, combined in one mixing bowl, yielding lightly sweetened muffins that are perfect breakfast. Follow my tips below to make these delicious gluten free muffin. For this recipe you will need: oatmeal, canned pumpkin, bananas, egg, chia seeds, chocolate chips, vanilla, baking soda, butter, and honey or maple syrup. Hey friends. 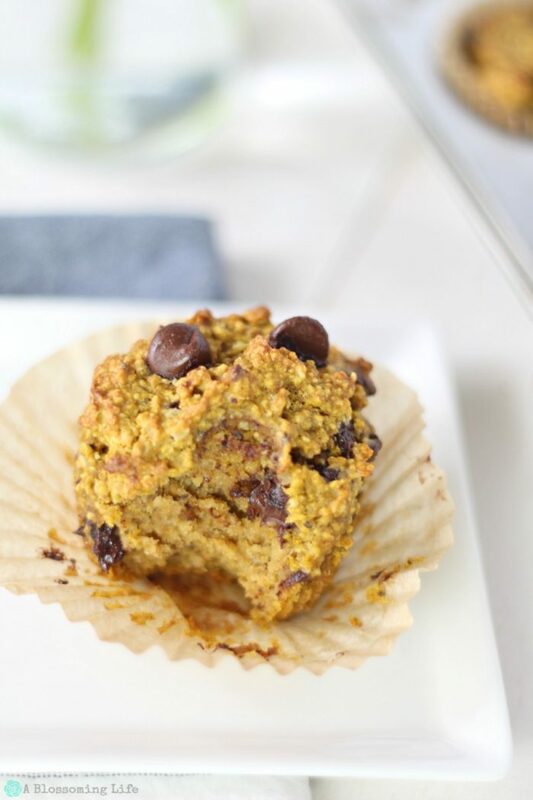 Libby here, sharing these delicious gluten free pumpkin muffin that is a simple recipe made from healthy ingredients, combined in one mixing bowl, yielding lightly sweetened muffins that are perfect for a quick, nutritious breakfast. Would it be pretty accurate to say we have all been raised to believe that breakfast was the most important meal of the day? Breakfast happened, whether you were hungry or not. Turns out, some people have also been saying that breakfast doesn’t matter. If you aren’t hungry, don’t eat. It’s laughable how these issues tend to circle right on back around to common sense. Let’s just establish that we’re only talking about food, which is simply a variety of edible matter that we eat to fill our stomach and give us whatever energy for the day that coffee isn’t already providing. It’s just food. Doesn’t it only make sense that we ought to just eat when we’re hungry, work as hard as we can to not eat when we’re bored, or refrain from eating something because it sounds fun to eat? Don’t feel bad if you love to eat. I do, too. It’s a good and normal part of life. I say we just eat when we’re hungry, recognize the difference between hungry and bored, or hungry and stressed, or hungry and dehydrated, and then move on. So, I’m hungry around 8:30am. I’m all about eggs or oatmeal or sweet potato hash, but a far cooler mom than myself has a tradition of Muffin Fridays. So, I’ve been stealing that idea, because my own traditions are too difficult to come up with. 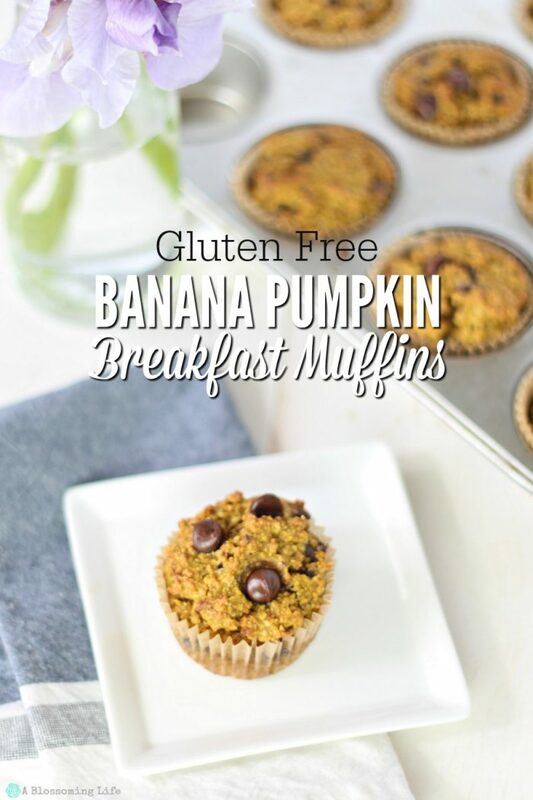 Introducing these gluten free pumpkin muffins perfect for breakfast…. You only need one mixing bowl, which in this case is a food processor. So, I use my food processor to make a rough oat flour, add in ripe bananas and honey to sweeten, pumpkin to moisten, eggs to…what do they do? I feel like they serve a structural purpose. People say chia seeds are healthy, so they’re in there. They include dark chocolate chips because why not. Also, I’m in love with these muffins because: A) they look gorgeous, and B) they are actually really nutritious, and C) they actually taste delicious. If you have celiac’s disease you should use gluten free oats to make sure they don’t come into contact with wheat. Don’t have a food processor? No problem. You can make oat flour in the blender and then transfer the ingredients into another bowl. Start the oven off hot to make them puff up, then lower the temp to bake through all the way. Try them with mini chocolate chips to disperse more chocolate throughout these glorious little muffins. Food processor (I have this one), silicon spatula, muffin tins, and muffin liners. In a food processor, add oats and blend until a flour has formed. Add in remaining ingredients (except the chocolate chips) and process until completely combined. Add chocolate chips, finishing with just a few turns in the food processor. Using a greased muffin tin or line with liners, fill the cups to the top. Bake in the oven for 8 minutes to help them puff up tall, then lower the temperature to 350F and bake for about 16 minutes until a toothpick comes out clean. *Note: I’ve also made them with a blend of oat and wheat flour (not gluten free), and they were great. Straight oat flour gives a nuttier texture. Want more healthy gluten free breakfast ideas? Check these out! Gluten Free Sheet Pan Pancakes have transformed our breakfast routine. Blackberry Banana Breakfast Bread is a really yummy recipe with one of our favorite berries to forage… Blackberries! These apple muffins are a delicious and gluten free. Plus, it will make your house smell AMAZING! One Bowl Carrot Cake Cookies are so healthy they can even be eaten for breakfast! Or try this Savory Spinach Breakfast Oatmeal from my friend Sophia at Veggies Don’t Bite. 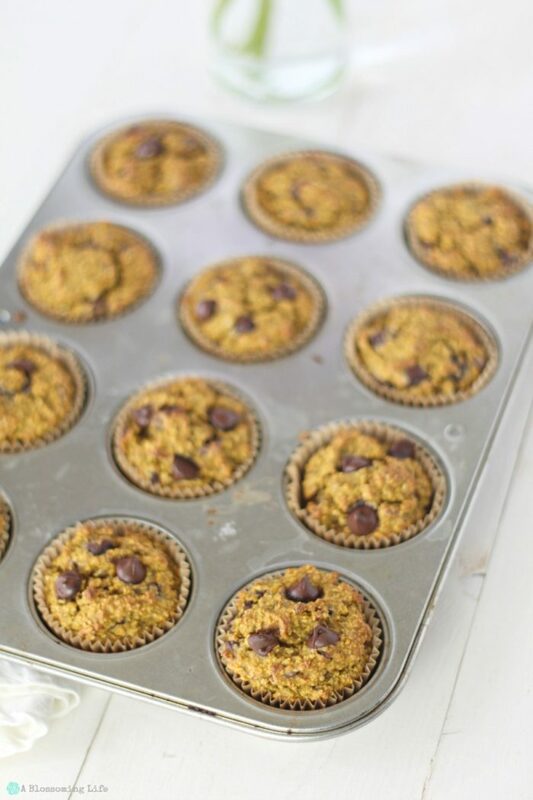 One bowl gluten free pumpkin muffins and are delicious, healthy, and lightly sweetened muffin perfect for breakfast or a snack. Freeze for later to make a super simple breakfast. 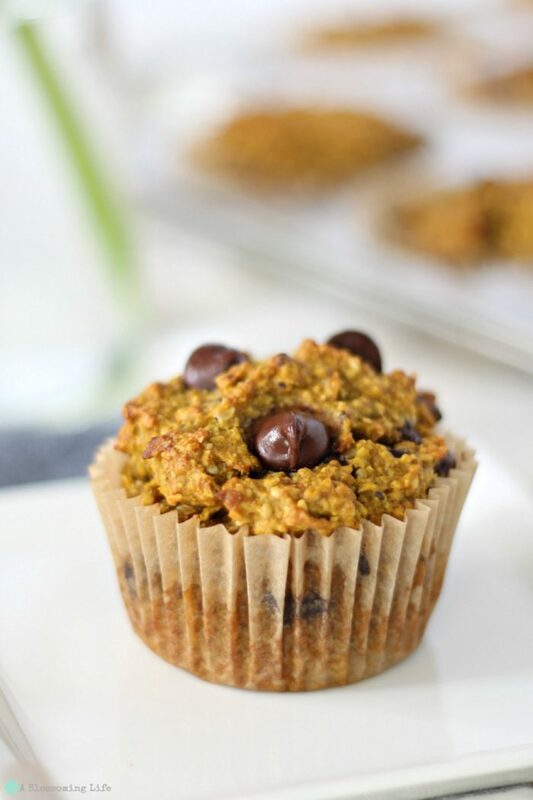 Simple, healthy ingredients combined in one mixing bowl, yielding lightly sweetened muffins that are perfect for a quick, nutritious breakfast. In a food processor, add oats and blend until a rough flour has formed. Add all other ingredients but the chocolate chips, processing thoroughly. Using a greased muffin tin, fill the cups to the top. Bake in the oven for 8 minutes to capture a tall rise, then lower the temperature to 350F and bake for another 16 minutes. What are your thoughts on breakfast? And do you have any similar traditions throughout your week?